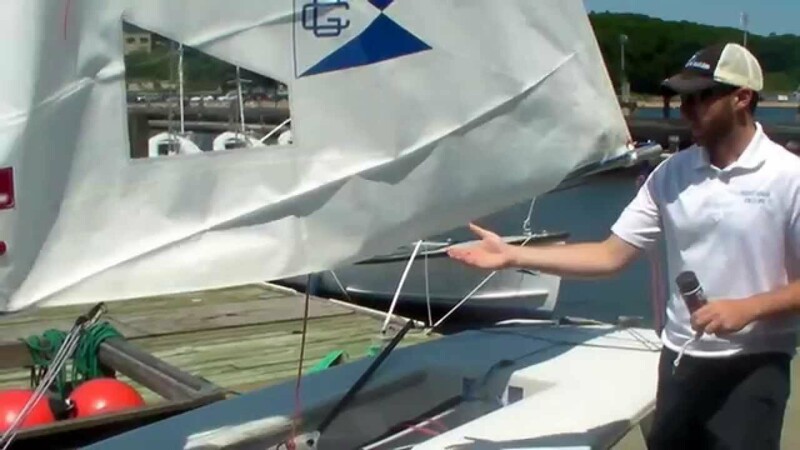 In this video, Brian Swingly, Head Coach at the US Coast Guard Academy, John Pearce, former Head Coach at George Washington University and now Youth Director at US Sailing, and Krysta Rohde, the 2007 ICSA Singlehanded National Champion, offer a comprehensive walk through of many tips and tricks for rigging your Laser. The more attention you can pay to these settings will put you closer in tune with the boat. It’s very important to know exactly how your boat moves and reacts in racing situations, and you can only know this with a ton of time and practice. Constantly be tweaking until you find the right balance. The sailor who puts in the most time rigging and tuning their boat will always have the extra edge!